“Doctor Cornelius!” cried Caspian with joy, and rushed forward to greet his old master. Everyone else crowded round. The book Prince Caspian, fourth in The Chronicles of Narnia novels by C.S. Lewis, opens with a lonely Prince yearning for stories of the mythical Old Narnia – a civilization eliminated by his ancestors, the Telmarine Conquerors, who perpetuated genocide when they invaded the country, demolished its buildings, and destroyed its society. Prince Caspian believes these tales to be fiction, but when his new tutor, Doctor Cornelius, admits that he himself is half-Dwarf, the truth of the Telmarine invasion is exposed. The Telmarines are clearly depicted as conquerors that in many ways mirror the European invaders who colonized the Americas in the 16th Century, but the similarities between Telmarine Narnia and the colonized Americas do not end there. 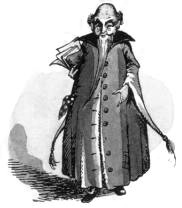 Through Doctor Cornelius’ struggle to conceal his Dwarvish features from humans, the rejection he faces even from the Dwarves in Old Narnia, and the strangely passive role he plays in the Narnian rebellion, it is clear that Doctor Cornelius is a perfect example of a disadvantaged segment of colonial population: the mestizo, reviled by both the conquerors and the conquered. As most of the population that left Europe in favour of the New World was composed of men, and the discourse that drove the conquerors was one of dehumanization of the native inhabitants of the Americas, it is not surprising that following the enslavement and genocide of the indigenous populations, a great number of children were born to native women – half-European, half-indigenous. They came to be known as the mestizos. Trapped as they were between one caste of society and another, in a new order where the population was divided by race, the mestizos found that there was very little privilege to be found in their European ancestry. Those who were acknowledged by their fathers and incorporated into the colonizers’ society could not enjoy the same position as the Europeans themselves or their full-blooded descendants, and yet could not fathom abandoning their homes in favor of joining their enslaved indigenous relatives. They were instead reduced to a strange, ostracized class, which steadily grew as a result of the conquerors’ interest in their native slaves, the new caste ranked only above the indigenous and black slaves. Half-Dwarves, though their existence is explained by C.S. Lewis as a result of clever Dwarves who escaped battles and were able to deceive humans, seem to exist in the same category of neither-here-nor-there as the colonial mestizos. While Lewis did not describe their Telmarine ancestry to be quite as violent as the European ancestry of the mestizos was, it is not hard to imagine that in a version of Prince Caspian targeted to adults rather than young children, a more horrific reality could have brought about the appearance of the Half-Dwarves. In the same way that mestizos sought to be considered European, even going so far as to pay to have their ancestry ‘purified’ on record, and valuing their European physical features above their indigenous ones, Doctor Cornelius is forced to live a life in hiding, accentuating his human features above his Dwarven ones for the sake of protecting his life. And yet, despite the great pains Half-Dwarves go through to survive as remnants of an ancient bloodline the Telmarines have nearly wiped out completely, the Old Narnians despise what they derogatorily call ‘half-and-halfers’. When Doctor Cornelius returns to the land of his ancestors, he is greeted with rejection by Dwarven society. Mestizos who lived officially among the Europeans could never hope to return to their indigenous roots, because they now belonged, in the eyes of the natives, to the part of society that oppressed them. The mestizo children that were not acknowledged by their European fathers, however, remained among their native families, and were enslaved and abused by the same caste that had caused their conception, though never truly a part of their indigenous surroundings because of their European features. There was little comfort to be found in the life of a mestizo, and Doctor Cornelius is a perfect fictional example of this – he is forced to live in hiding among humans, keeping secret the truth about his bloodline, and yet among the Dwarves he is considered a traitor. “If any of my kindred, the true Dwarfs, are still alive anywhere in the world, doubtless they would despise me and call me a traitor. But never in all these years have we forgotten our own people and all the other happy creatures of Narnia, and the long-lost days of freedom.” In these words, Doctor Cornelius paints a tragic picture of the memories passed down from the Dwarves to their half-human children; a history that they long for, despite never knowing it. Nikabrik’s words, describing Doctor Cornelius as a ‘renegade Dwarf’ and following the insult with a threat to his life, depict enough hatred to imply to the reader what may have happened to other half-Dwarves that may have wandered into the lands of the Old Narnians in search of a home among their full-blooded kin. It could be said, then, that the half-Dwarves of Narnia are among those who have greatest need for the destruction of the regime imposed by the Telmarines. It is only in this manner that they can enjoy a full life in either human or Dwarven society – or better yet, in a mix of both. It could even be said that among the half-Dwarves (or any other mix of Old Narnia and Telmar that can be found) lies the hope for a truce among the two societies of the land. For even among the oppressors there are innocents, and as generations of Telmarines are raised with no memory of the genocide their forefathers carried out on the natives of Narnia, it becomes difficult to punish an entire population for crimes they have no knowledge of. And yet, history has shown that those caught in a caste shunned by both parental bloodlines have little hope of being the protagonists of a revolution. It was not the mestizos who took on a pivotal role in the independence of American nations, as they shook off the shackles of European oppression. Very few of them had the means to succeed in such an endeavor, cut off from positions of power as they were. It was the criollos, instead, children of the conquerors themselves and their European partners, who ultimately carried out the movement for independence. Prince Caspian himself is a criollo, unknowingly a part of the violent machine that destroyed the native inhabitants of Narnia. Doctor Cornelius finds himself, by mere luck, in a position to educate the future ruler of a new regime that can overthrow the Telmarines and reinstate Old Narnia in a peaceful and efficient manner. But in the course of the story of Prince Caspian, no other half-Dwarf is mentioned. Even Doctor Cornelius has a lesser part to play in the great drama of Old Narnia vs. Telmar, despite being, in terms of ascendance, the perfect candidate for such a role. Perhaps he has lived too long among the Telmarines, too enclosed in fear, with no respect from either segment of population and therefore little name to carry leadership upon. In the same way that mestizos found themselves battling for survival rather than aspiring to being a part of a major, extremely risky, endeavour for change, one can imagine that other half-Dwarves, much like Doctor Cornelius at the beginning of Prince Caspian, decided to exert their efforts towards survival rather than lofty aspirations, deprived of opportunities any higher than the meager jobs that they could get. Doctor Cornelius may very well be the most privileged of the half-Dwarves in C.S. Lewis’ universe – and even then, he is only a tutor. Perhaps in the decades after the Old Narnian revolution, the population of Narnia will find itself, much like that of Paraguay, Honduras, or El Salvador, to be 90% composed of mestizos, until the lines between races become so blurred that few can claim to be purely of one ancestry. Perhaps someday the diversity of bloodlines will become a cause of pride among the mixed-race inhabitants of Narnia, and stimulate the study of cultural interactions throughout the history of the Telmarine invasion and beyond. Or perhaps the divisions will remain, hidden beneath the surface, as the half-Dwarves struggle with their identities as part of the conquerors and the conquered, rejecting both identities, resenting both bloodlines. But it is in characters like Doctor Cornelius that the real history of the colonies can be found on full display – in the battle both for and against one’s own kindred, in the struggle to discover the true meaning of one’s identity, and in the deep-rooted yearning for a distant freedom, where the oppressor no longer resides in one’s veins.